HONG KONG - Jan. 14, 2019 - PRLog -- Imports increased 15.8 percent last year, resulting in a trade surplus of $351.76 billion, the countries lowest since 2013. The world's largest trading nation got off to a strong start in 2018, but pressure on the economy started to build later in the year as the United States and China began imposing tariffs on each other's goods and global demand started to cool. 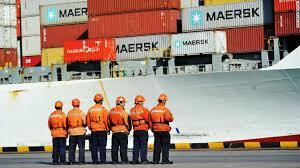 The Customs office is expected to release trade numbers for December later in the day. China's export growth is expected to have eased for a second straight month in December as global demand weakened, raising pressure on Beijing as it tries to reach a trade deal with Washington. Softening demand in China is already being felt around the world, with slowing sales of goods ranging from iPhones to automobiles adding to fears of cooling global growth. Sources said last week that Beijing is planning to lower its economic growth target to 6-6.5 percent this year after an expected 6.6 percent in 2018, the slowest pace in 28 years. Knight Investment believes that the current situation between the US and China is still factored in within the markets and the current concerns being shown in the US with regards to the split in the house is the major factor driving the American markets at the moment. For our latest recommendation for 2019, contact an advisor today! To find out more information on the opportunities Knight Investment Limited see's within the US or Chinese markets, or to arrange an appointment to discuss your strategy for 2019, contact us today at info@knight-investment.com or visit our website http://www.knight-investment.com to find out more about their services and products available.